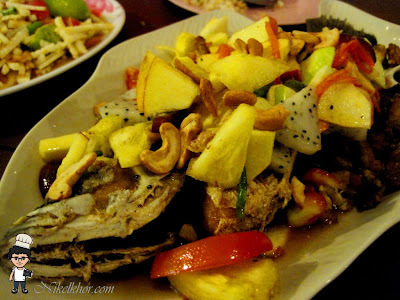 Being in the town of Hatyai, unlike Bangkok, the variety of food is comparatively limited to Thai traditional and typical foods only. 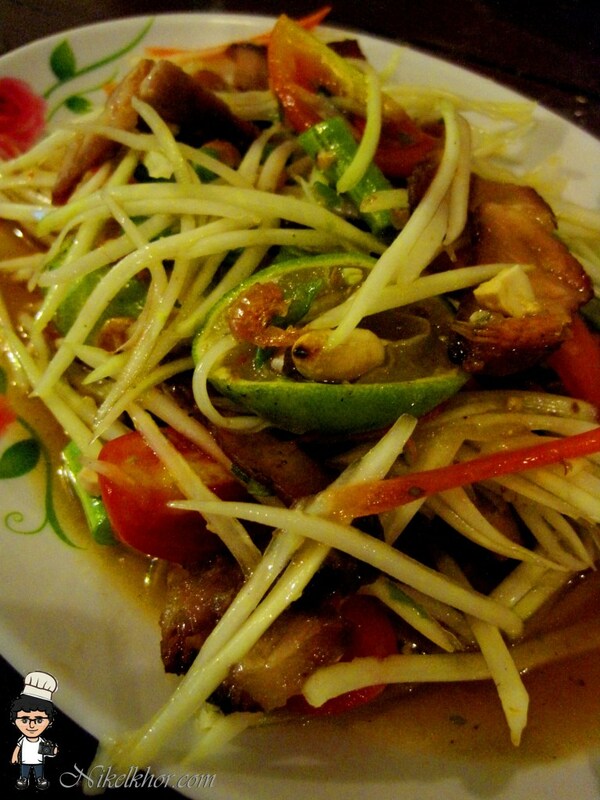 Definitely a good place to explore local Thai delicacy. The first night we spent in Hatyai, we had our dinner in a special and good ambiance restaurant. 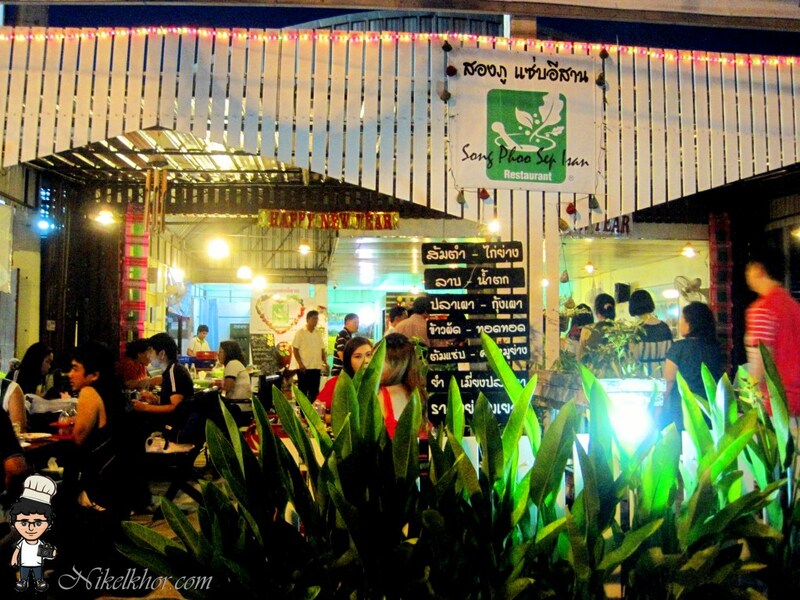 A small unique restaurant which you can opt for indoor or outdoor seats if you love fresh air and to enjoy the green view created by the owner. 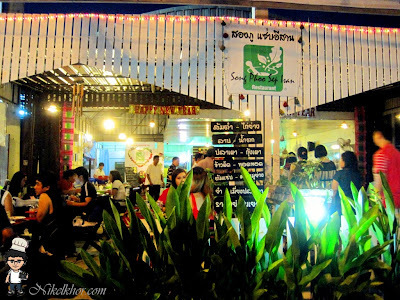 The restaurant is also equipped by the yellow dim light to build up the modern atmosphere, I bet this is the reason why most of the customers in the restaurant are young generation, to enjoy authentic Thai cuisine in a restaurant infused with modern element. 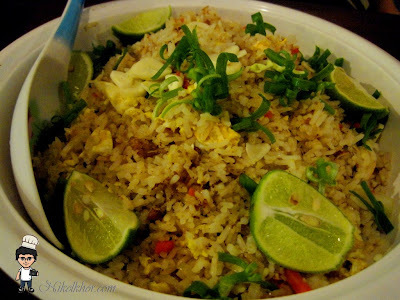 Thai fried rice was the first on the table. 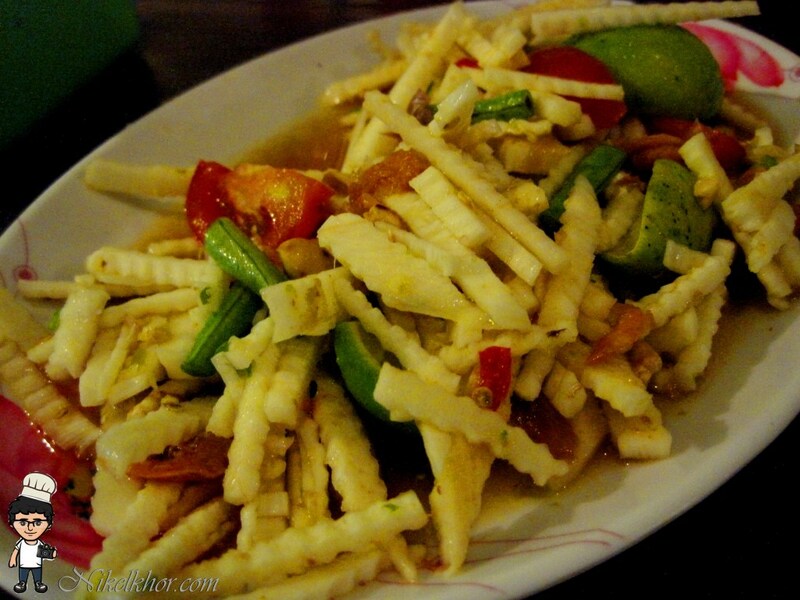 Stir-fried by using Thai's beloved ingredients--cili padi, dried shrimp and onion, enough to explode our stomach! With a squeeze of lime juice, it boosts up my appetite. 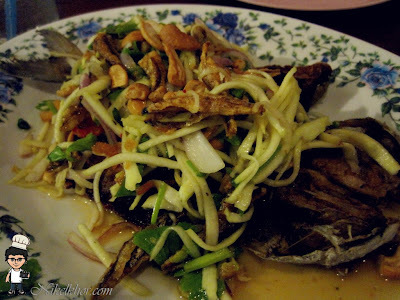 Deep Fried Fish with Song Tam (green mango salad) comes the second. The raw and fresh mango with the onion successfully get rid of the oily and greasiness of fried stuff, make it overall feel refreshing. Stir-fried maggi mee with egg and mixed vegetable is another portion of carbohydrate at the night. Here comes the second fish of the night, with different combination of fruits--pineapple, dragonfruits and apples. A good try. 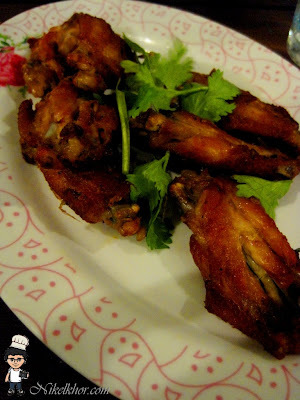 Song Tam with fried chicken. 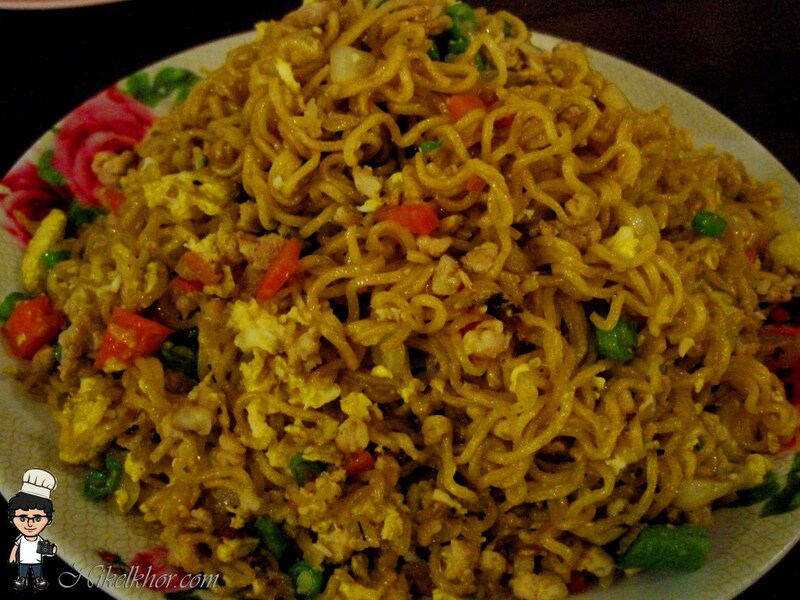 This is the special dish that I would like to recommend it to you!! 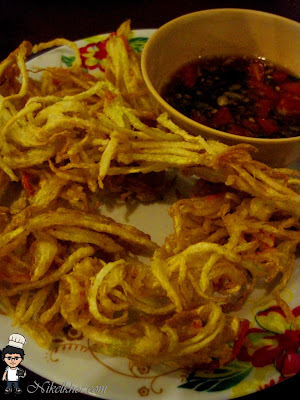 It is a type of Thai appetizer comprising young coconut, it tastes a little bit puckery at the first, the sweetness of the young fruit comes afterwards. Different from the smooth and soft texture of normal coconut flesh, this is rather crunchy in nature. A dinner with Thai cuisine definitely cannot miss out the spirit dish--Tom Yam. 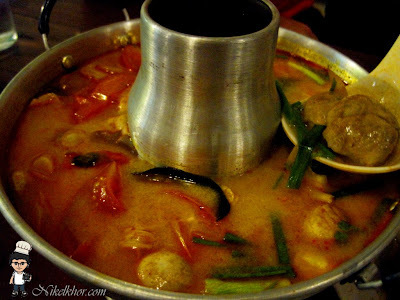 As we had white tom yam in the noon, we go for red tom yam for dinner. Coconut milk is added so it taste extremely fragrant and the soup is thick and flavourful. The chef is generous in putting ingredients too, we found various treasure in the soup, from vegetable, meat to seafood, all good things in a pot. At last, the fried chicken wings serve as the handy snack for after-dinner chatting session. The skin is deep-fried to crispy, but the meat inside is rather dry and tough. Indeed a pleasure night with some authentic Thai Food, but as all the foods we ordered are mostly dry and fried food, it makes my throat not too comfortable after the dinner.